The Bund is an Anglo-Indian term for the embankment of a muddy waterfront. The term is apt: mud bedevils Shanghai. Between 1920 (when the problem was first noticed) and 1965, the city sank several meters. Water was pumped back into the ground, but the Venetian threat remains. Concrete rafts are used as foundations for high-rises in this spongy mass. 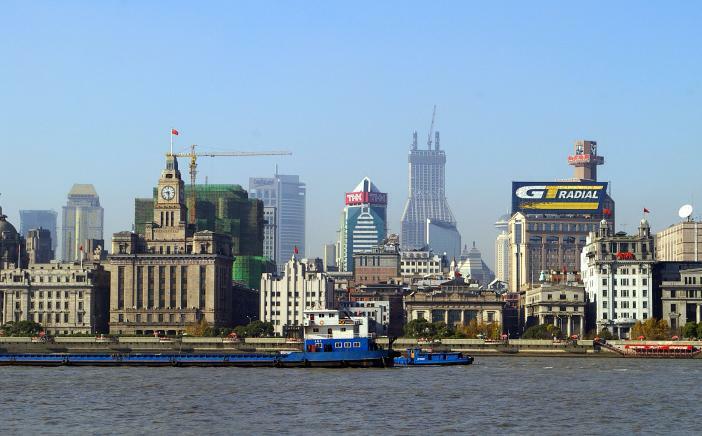 Its muddy predicament aside, the Bund is symbolic of Shanghai. In faraway Kashgar and Lhasa, local Chinese pose for photographs in front of oil-painted Bund facades. Constant throngs of Chinese and foreign tourists pad past the porticos of the Bundâ€™s grand edifices with maps in hand. The buildings themselves loom serenely, oblivious to the march of revolutions; a vagabond assortment of neoclassical 1930s downtown Mew York styles and monumental antiquity thrown in for good measure. To the European, the Bund was Shanghai's Wall Street, a place of feverish trading, of fortunes made and lost. One of the most famous traders was Jardine Matheson & Company. In 1848 Jardine's purchased the first land offered for sale to foreigners in Shanghai and set up shop shortly after, dealing in opium and tea. The company grew into one of the great hongs (a â€˜hongâ€™ is literally a business firm), and today it owns just about half of Hong Kong. The Bund today is in the process of yet another transformation. The building identified by a crowning dome is the old Hongkong & Shanghai Bank, completed in 1921 with much pomp and ceremony. For many years it housed the Shanghai Peopleâ€™s Municipal Government and was off-limits to curious travelers. Now it belongs to the Pudong Development Bank and you can take a look inside the magnificent central hall during business hours. Other Bund fixtures have also been fixed up and newly occupied by domestics and foreign companies. 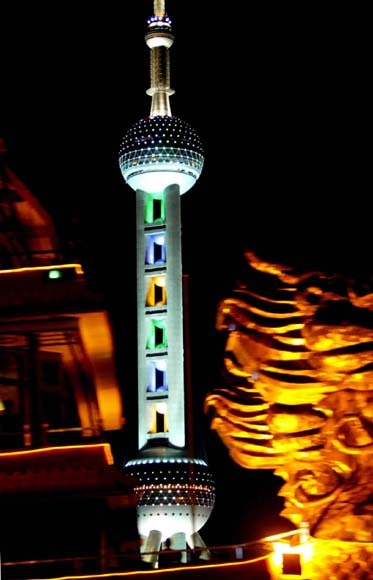 Shanghai Oriental Pearl TV Tower is 468 m high and it is the first highest in Asia and the third highest in the world. The tower consists of 15 spheres at different sizes and different levels creating an artistic conception of â€œlarge and small pearls dropping onto a jade plateâ€. 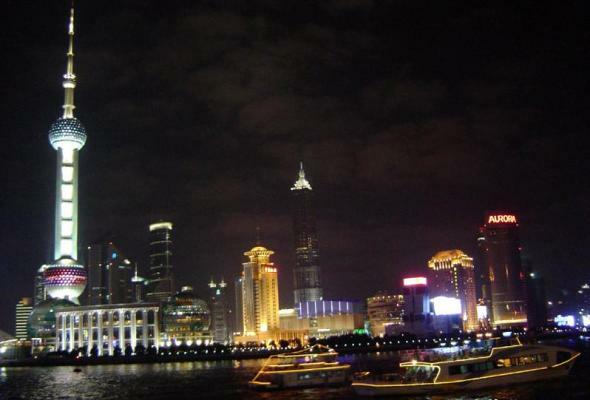 It has become a symbolic architecture and a favorable spot for tourists in Shanghai.